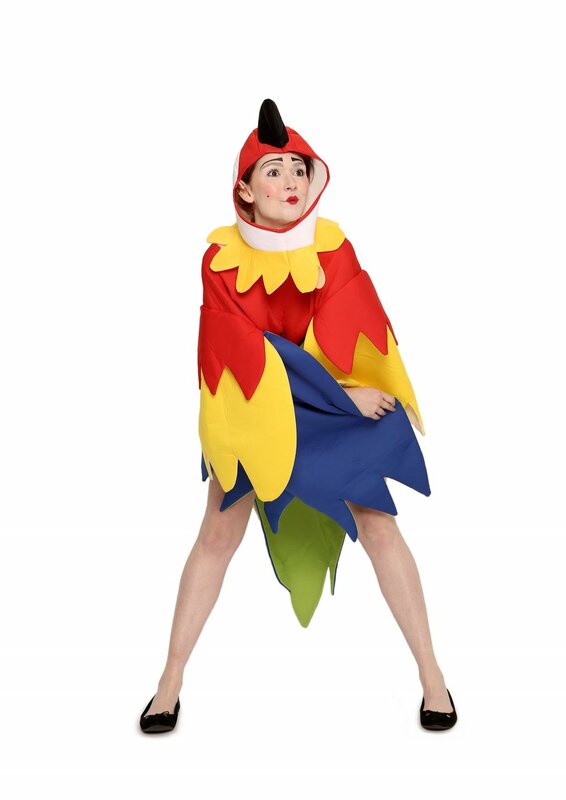 Imagine, if you will, a frantic, breathless reshaping of Tchaikovsky's Swan Lake, performed in a parrot costume and interwoven with an internal monologue that regularly swims to the surface. This is Elf Lyons: Swan. Delivered largely in a babbling Franco-English patois and carried by her exceptional physical comedy skills, this is a show that delivers silly fun from start to finish. Sure, there's a little bit of post-patriarchal deconstruction there, but it's a feather-light touch as opposed to a theme in and of itself. You don't need to know socio-cultural politics, ballet, French, or much of anything else to appreciate this show. Lyons is a joy to behold. We could quite happily see a show where she just reads from a bar menu, such is her stage presence and wonderfully random sense of humour. Bar menus aside, though, Lyons’ remarkable combination of storytelling, puppetry, clowning, mime, and ballet is immensely entertaining. It’s uproariously funny, ludicrous folly that thrills the entire crowd. The first performance had a handful of common opening night issues. The tech work was lax, requiring regular prompting from Lyons. There were missing props, misqueued audio, and Lyons was suffering from jet lag and a whirlwind lead up to the show. It is testament to Lyons’ ability as a performer that these factors didn't derail the show at all. Her performance is a train that starts off the rails but still steams along, stopping occasionally so she can unload more of her unique humour on the audience. In Elf Lyons: Swan, we have a wonderful hour of mischief embellished with DIY props, straight-from-the-internet costumes, and rip-snorting laughter. It's a delightful show that will leave you feeling genuinely joyful and pleasantly perplexed.